Discussion in 'iPhone and iPad Games' started by MatLoz, Dec 20, 2014. I'd like to introduce our first game on mobile : Shuttle Shuffle. 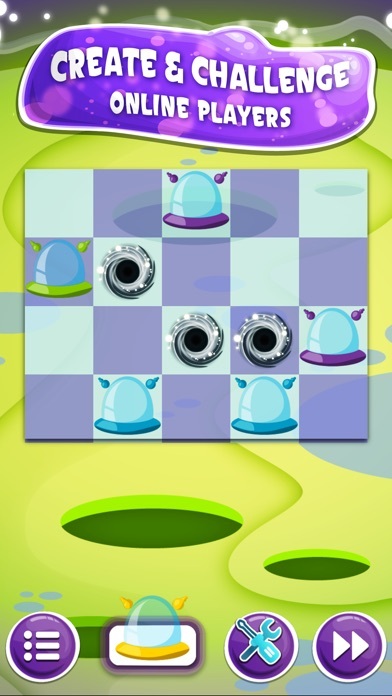 Shuttle Shuffle is a puzzle game where aliens, scattered after a chaotic landing, have to find their shuttle back. Rules and gameplay are easy to pick up and very intuitive, which makes Shuttle Shuffle a game suitable for the whole family. Something special about the game is that players can -in a few seconds- create their own levels and share them to challenge other players. Everyone can take up the challenge and try to find a better solution! ------------ Features: - Create your own levels with the integrated level editor - Challenge your friends and beat their scores - Neverending puzzling : 72 campaign levels and hundreds of user levels created every day - Play at your own pace to figure out the perfect solution with no time limit - 34 achievements - A fun experience suitable for all ages ------------ "This is really cute twist on a clear-the-board type game. (...) it is highly recommended. This will keep you puzzling for ages." 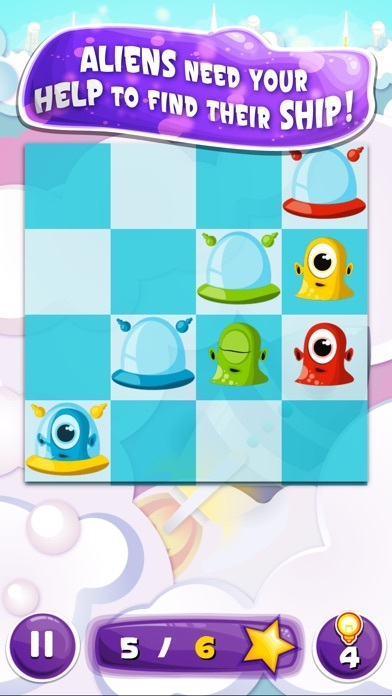 - Puzzle Nation "Shuttle Shuffle is a good game. 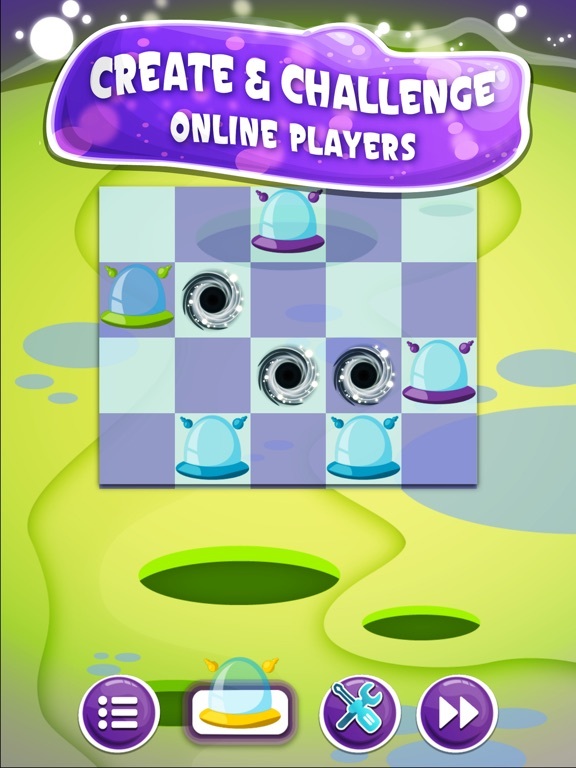 It’s fun, challenging and the aliens are cute." - Puzzle Game App ------------ Awards & Recognition: - nominated for "Indie Prize Europe 2015" - "Game Art Exhibition" : Artwork exposed at Musée Fabre, Montpellier, France from November 2014 to January 2015 ------------ Want to be a fan ? - Facebook: https://www.facebook.com/ShuttleShuffle - Twitter: https://twitter.com/ShuttleShuffle - Website: http://www.shuttle-shuffle.com Having any problems? Any suggestions? We would love to hear from you! You can reach us at support@shuttle-shuffle.com ------------ PLEASE NOTE: Shuttle Shuffle is completely free to play, but you can also purchase some items within the game for real money. Just disable in app purchases on your device if you don't want to use this feature. 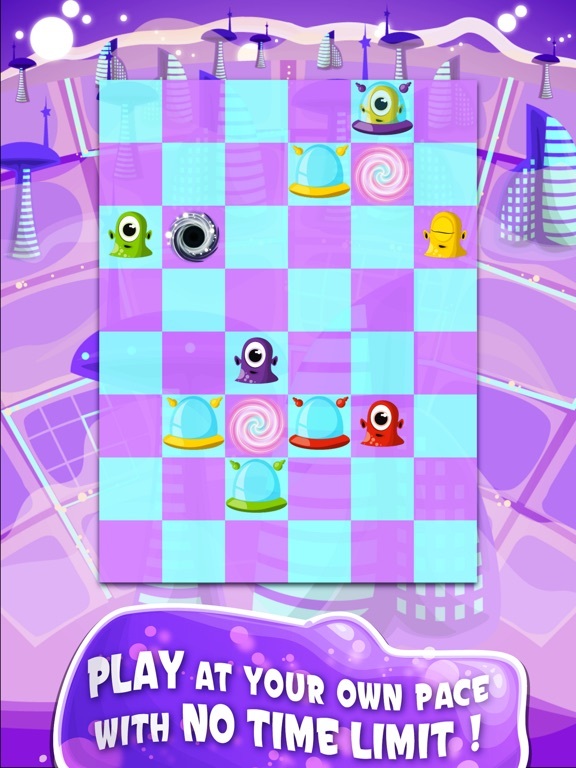 Game is available for free on iOS, Android and Windows Phone. Tell us what you think about it, we'd love to hear your opinion about the game ! Thanks binlabu for posting this gameplay video. Image is a bit stretched and sound is quite high-pitched, was it accelerated a bit ? Can you explain the in-game IAP? There is no description about it in the App Store. Are part of the game (such as the other worlds) only available through IAP? The reviews I read are unclear on this. Very polished graphics. Intrigued by the linking mechanics. The game levels are packed into "worlds". There are currently 3 worlds, each world have 24 campaign levels. 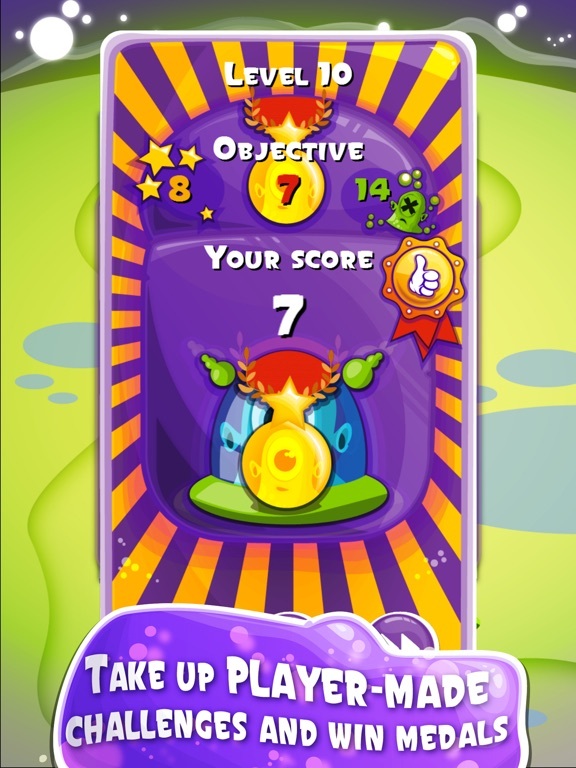 You get the first world and 2 levels in each of the other worlds for free. You can unlock world 2 and world 3 for 1$ each. You also have "challenge tickets" (the blue ones) which allow you to play levels created by the community. If you need more of these tickets you can buy some in the shop, they are packed with different quantities. So you're free to choose how to use these rewards. If you like to create levels take green tickets, if you only want to play levels you can get 28 tickets for free if you get the medal for all campaign levels. 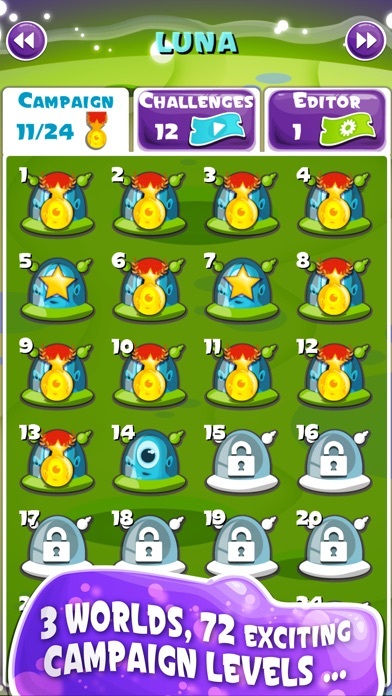 You can also get these rewards if you improve the solution of a challenge level. There's about 200 levels that have been created by the community for now. 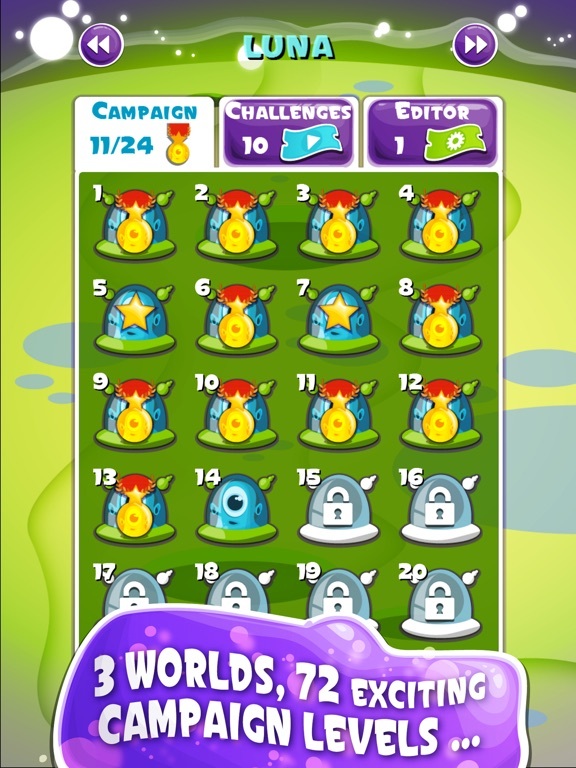 To choose a challenge level in this list you can preview them before using your blue tickets. Players can give a note to challenge levels when they finished them and you can sort the list by rating. Hope that clarifies the IAP and the ticket system, if you have any other question do not hesitate. Shuttle Shuffle nominated for the Indie Prize at Casual Connect Europe ! During 3 days we and our aliens will land in Amsterdam (February 4-6). A new update is coming soon, in the meantime here are the latest news. Huge thanks to all players, challengers and levels creators, this is our most colorful update since aliens have left their planet. - Summer time on all the planets ! We polished our medals and even the stars are shinier. - 34 achievements, with funny titles and icons! Check them in the main menu. This feature requires a GameCenter account. 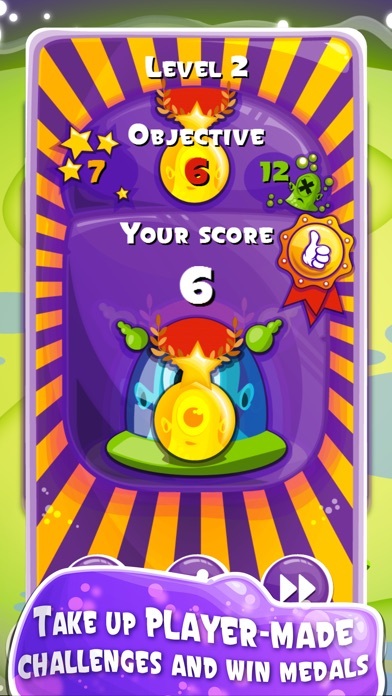 - New ways to share your progress and levels, with automatic screenshots generation. - Notifications on important events. Shuttle Shuffle is in iMores best iPhone games of this week. 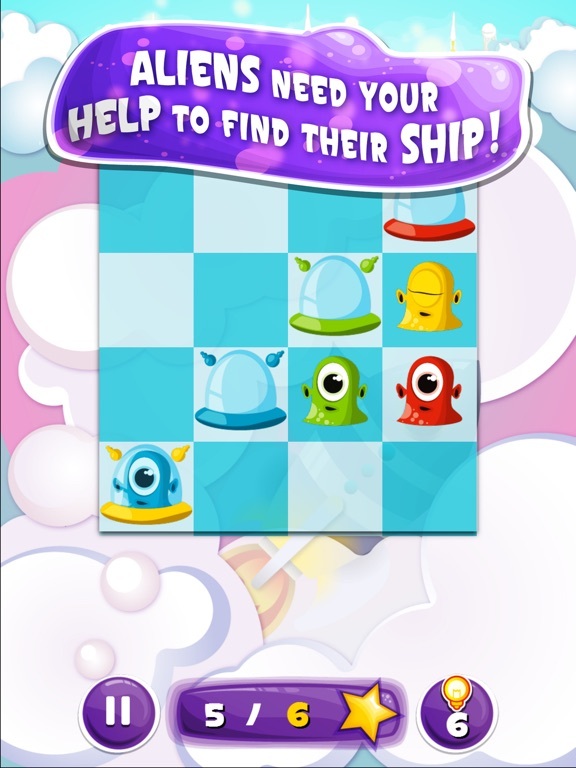 - A daily chance to win hints and challenge tickets ! Tremble, shiver and shake ! To celebrate Halloween, the worlds of Shuttle Shuffle are free on the AppStore and Windows Phone, and at minimum price on Google Play ! Just a few hours left to get the worlds of Shuttle Shuffle for free on the App Store ! Hi, Swim Out looks really stylish and fun to play, you should make an upcoming thread for Swim Out, looking forward to it. Thanks, I'll post it soon. Unlocking worlds 2 and 3 is currently very cheap until the end of the year!